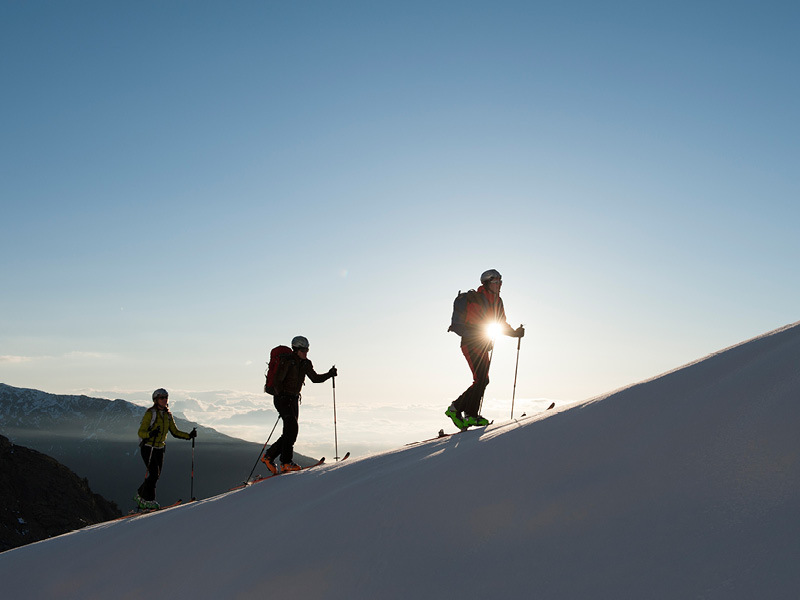 The Méribel Mountain Guides’ office offers its own “All inclusive” packages, in partnership with the “Vanoise Voyage” agency, linked to the “Vanoise Guides Company”. It allows us to offer “all included packages”, including : the 3 Vallées or Paradiski skipass, the mountain guide service, a restaurant or a picnic, a taxi, ski gear rental or another overnight stay in refuge ½ pension, according to the chosen product. From beginner to expert, alone, with your family or among friends, we adapt our offers to your ski level and your wishes, for one or several days. Do not hesitate any further ! 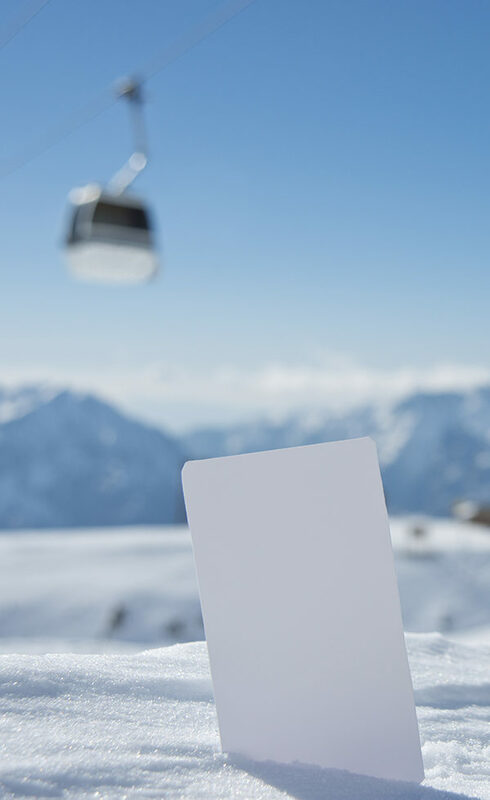 Live simply, trust us, and fully enjoy your stay in the world’s largest ski resort, the “3 Vallées”. Find our offers all inclusive. Discover one of the most amazing and beautiful off-piste runs of the 3 Valleys: the “Planchette” run which takes place in the Maurienne valley, very close to the Italian border ! We’ll use the lifts to reach La Masse in les Menuires. We’ll then slide (or hike a bit more with your skitouring gear if you hava any) on the Maurienne side down a sunny and wide series of slopes to the Planchette restaurant, lost in the mountains. A typical local meal will await the worthy ! We will make it back by taxi to the Val Thorens lifts for those who wish to keep on skiing. For those who would rather enjoy a magnificent panoramic flight above this amazing part of the french Alps, a helicopter flight to join Méribel is available ! Ski touring gear is recommended but not mandatory, we adapt to whatever skis you will show up with. Required ski level : black slope, or off-piste experience. 3 days off-piste skiing with a mountain guide to discover the world’s largest ski resort ! We’ll ski together the most beautiful 3 Vallées off-piste ski runs, between Méribel, Courchevel and Val Thorens : Avals valley, Borgne glacier, Geffriand, Polset pass and many more ! Ski touring is the “queen” of ski activity, wich allows us to be alone in wild spots, or find the best snow conditions ! We advise you bring along skitouring gear if you own it, or rent it in Méribel (easy at our partners’ shops, Prosneiges and Skiset). If you wish not to, we’ll manage with your piste-skis, we’ll just have to hike a bit to reach nices runs in a quiet environment (20 min or more). Our mountain guide will of course adapt the program to your ski and fitness level. You will enjoy 3 Vallées ski resort differently, following the path of our expert mountain guides who know the resort like no other. We hope to see you soon on skis ! Required ski level: from “off pist beginner” (ski slope level=black slope), to expert. 5 amazing days to enjoy the best the 3 Vallées have to offer, and discover another mythical ski resort, Paradiski (La Plagne-Les Arcs)! Included in the program: several mythical ski runs : Gébroulaz glacier, St André, Encombres valley, Bellecôte North face, and many more. Ski traineeship for people who want to “eat powder” and discover the other side of 3 Vallées, far away from crowded slopes. We’ll need ski touring equipment, you can easily rent it in Meribel at our partners’ ski shop Prosneiges and Skiset. Your mountain guide will make sure your group makes the best of snow conditions, for your biggest pleasure. A wonderful day to discover the world’s biggest ski resort, on groomed slopes only ! 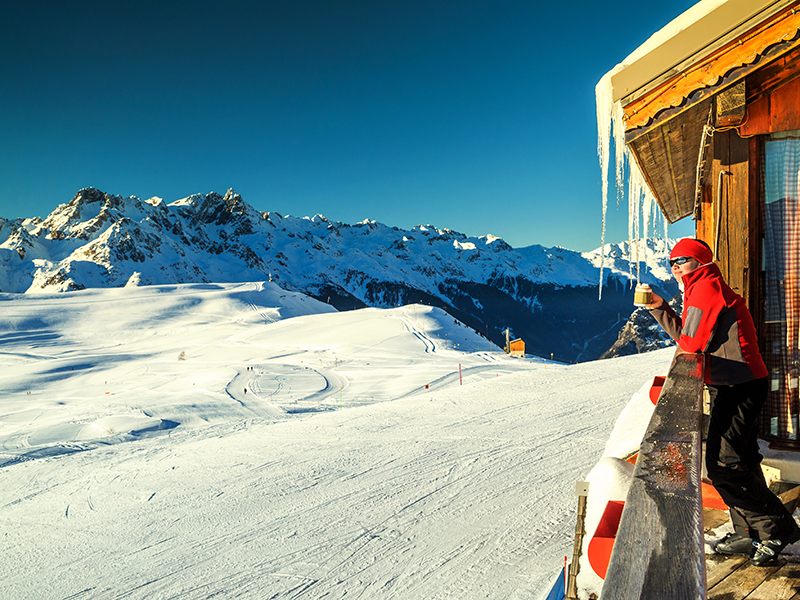 You wish to discover the famous “3 Vallées” ski resort ? However, you don’t really want to spend your day checking the slope-map every minute ? Nor wonder where you are ? Let us guide you to the nicest slopes of the resort, enjoy skiing and the scenery, we take care of the rest ! Program : discovery of Meribel, Courchevel and Val Thorens ski resorts by the slopes, with lunch in a restaurant we selected for you. One of the most beautiful runs of Vanoise with no less than 1800m of elevation loss ! We leave Méribel together to reach Champagny en Vanoise, a 20mn taxi or car ride. Then we take Champagny’s lifts to reach the top of Paradiski, the famous glacier area above 3000m. We put the skis on the backpack and walk about 30mn. We’re ready to enjoy this great ski run ! A day of fun ! We end up on the cross country ski tracks of Champagny le Haut , where we have to push a bit on poles to reach the taxi. Time to relax now, off to a restaurant in Champagny !